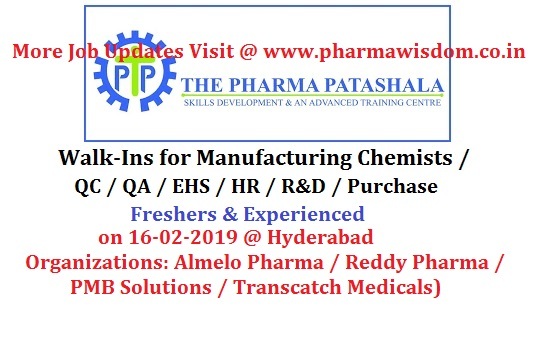 This Saturday (16/02/2019) conducting interviews at Pharma Patashala for multiple positions for following organizations located in Hyderabad. Exp: 0 to 4 years preferred Change control, Deviations and QMS activities. Exp. 8 to 12 years.